Frank Lloyd Wright has been dead for nearly 60 years, but his architectural legacy remains unparalleled. Buildings credited to Wright through a seven-decade career can be found worldwide. But the epicenter is in northern Illinois, with many just a short drive away. As part of Illinois’ bicentennial celebration, the state’s Office of Tourism last week unveiled two Frank Lloyd Wright Trails featuring more than a dozen structures. 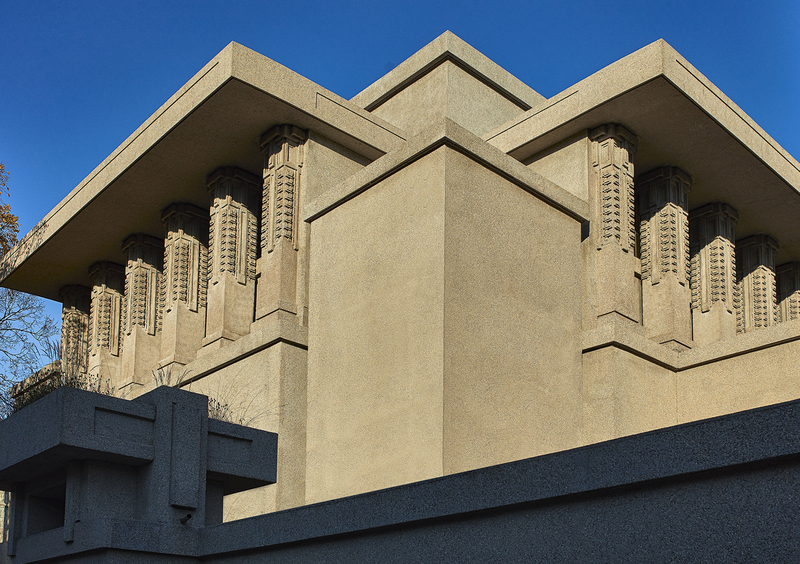 “The new trail celebrates Frank Lloyd Wright history and his connection to Illinois, allowing tourists from around the world to discover the work of Wright, one of America’s great architects,” said Cory Jobe, Illinois Tourism director in a statement last week. Thirteen Wright gems are all open for public visits, but days, hours and costs vary. Visitors are advised to check in advance. One Illinois trail extends from Chicago to Rockford, while the second covers the same stops in Chicago and Oak Park before proceeding to Springfield. The self-guided tours are not all-inclusive. 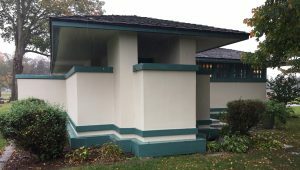 Some private homes designed by Wright in the Chicago area are not open to the public, but still can be viewed from public roadways. Wright was born in Wisconsin in 1867, but is forever linked with Illinois. 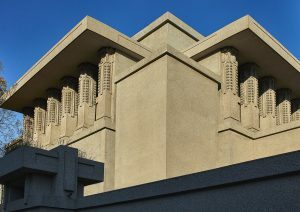 He’s perhaps best known for works such as his home and studio and Unity Temple in Oak Park and Chicago’s Robie House. He also designed New York’s Guggenheim Museum as well as the Johnson Wax office complex in Racine, Wis.
More than 500 Wright projects were completed. His Prairie Style of architecture emphasized horizontal structures with low roofs, ribbon windows and open plan floors. Many of Wright’s works were never realized, including a proposed mile-high skyscraper in Chicago called The Illinois that was unveiled in 1956. Wright died in 1959 at age 91 in Phoenix, Ariz. The Emil Bach House, 7415 N. Sheridan Road., is the only Wright house open for tours as well as vacation rentals and private events. The Charnley-Persky House Museum 1365 N. Astor, was designed by Louis Sullivan with assistance from Wright. The Rookery, 209 N. LaSalle, features a main lobby and light courts said to be one of the most spectacular interior spaces in Illinois. The Frederick C. Robie House, 5757 S. Woodlawn, was named one of the American Institute of Architects 10 most significant 20th century buildings. Information: 312-994-4000. Said to be the world’s largest collection of Wright-designed homes, the place to start is the Frank Lloyd Wright Home and Studio, 951 Chicago Ave. It was Wright’s residence and studio from 1889-1909. Nearby Unity Temple, 875 Lake St., is back open after a two-year restoration and was Wright’s place of worship. 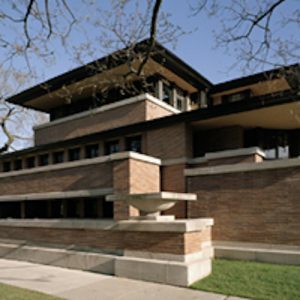 The Frank Lloyd Wright Trust offers a Wright Plus House walk tour of other homes on May 19 in Oak Park. Visit www.flwright.org/wrightplus for details. The Colonel George Fabyan Villa, 1925 S. Batavia Road, was remodeled by Wright in 1907. It’s a Prairie Style residence with a Japanese garden adjacent to the property. It is maintained by the Kane County Forest Preserve District and open for public tours through mid-October. The Muirhead Farmhouse, 42W814 Rohrsen Road, is privately owned and the only known existing farmhouse designed and built by Wright. The house remains in the family while surrounding 800 acres is now owned by the Kane County Forest Preserve District. Reservations required for all tours. 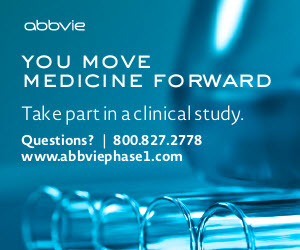 Call 847-464-5224 for information. A May 20 Open House/Fundraiser will benefit the Central Music Boosters. Visit www.301music.org/muirhead/. Pettit Memorial Chapel is in the middle of Belvidere Cemetery, 1100 N. Main St. It was designed by Wright at a memorial to Dr. William H. Pettit and completed in 1907. Stop by the Belvidere Cemetery Association office, open Monday-Friday from 8 a.m.-4 p.m., for a tour program and more information. Six Chicago-Oak Park properties (described above) mark the trail’s start. The B. Harley Bradley House, 701 S. Harrison, is acknowledged as Wright’s first Prairie Style design, created in 1901. Call 815-936-9630 or visit wrightinkankakee.org for more information. 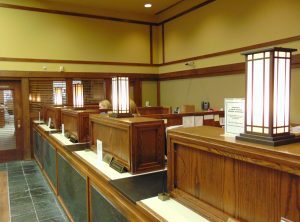 Located downtown, the Frank L. Smith Bank building, 122 W. Main St. is across the street from a former Amtrak station with a lobby open for viewing during regular business hours. 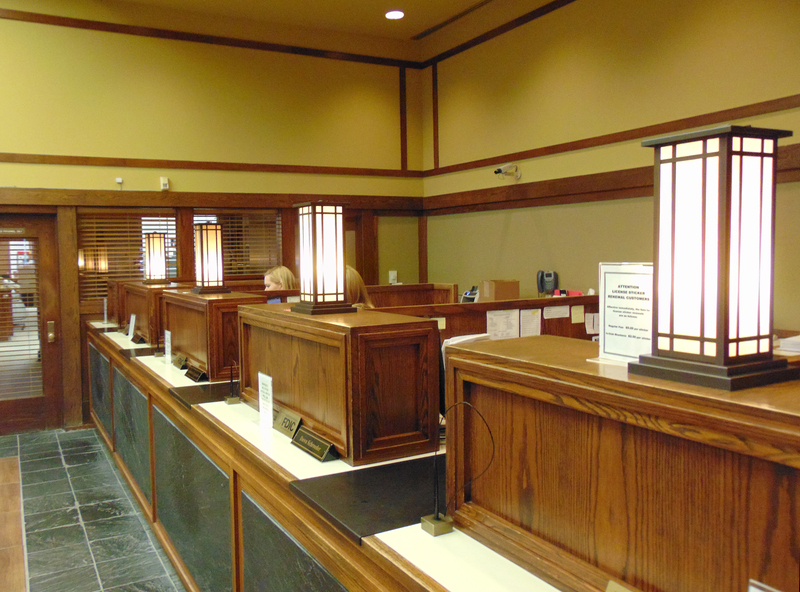 Now the First National Bank of Dwight, it sits on the famed former Mother Road — U.S. Route 66. Information: 815-584-1212. The Dana-Thomas House, 300 E. Lawrence Ave., is said to be one of Wright’s largest and most elaborate Prairie Style designs. It features 35 rooms and 250 art glass windows. Information: 217-782-6776. 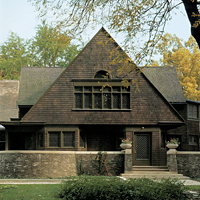 More information on Wright tours can be found at the State of Illinois tourism site (www.enjoyillinois.com) and the Frank Lloyd Wright Trust (www.flwright.org) which focuses on Chicago and Oak Park properties. Information on Wright’s life and career can be viewed via the Frank Lloyd Wright Foundation site at www.franklloydwright.org/.